OK I'll admit it, I'm a candle whore. I have a stock pile of them at home and that's because on crisp fall days and cold winter ones the first thing I do when I get home from work is light a candle. There is something about the soft flicker and the soothing scents that make me unwind and relax. I'm always on the hunt for new candles to add to the stock pile. Of course packaging counts, because lets face it we all like pretty things. Enter Paddywax, my new love. They have everything I love- amazing scents, the perfect packaging, and lots of choices. The candle that I have been lighting for the last few nights is Pomegranate from their new Winter Garden Collection and it's delish. Back to the point of this post, candles. Because I love Paddywax so much and I want you all to love them too, they have sweetly agreed to give one of my readers a $50 gift certificate to their site. Woohoo! I just love the little bee image on the glass- it's too cute. And what I also love is that when the candle is buh-bye you can reuse the glass. Beautiful colors, amazing scents- there is not one bad one in this collection, they all smell great. Soy-based inks, hemp twine, recycled paper- this is a wonderful planet friendly candle. They have diffusers too- for those who aren't obsessed with candles like me these are perfect for you! There are so many more where these came from too. Want your own candles or diffusers to tickle your nose? 2. Head over to Paddywax and let me know your favorite collection and/or what you would spend the $50 on. Giveaway will end October 6th @ midnight EST. Good Luck!! PS- You can also follow Paddywax on Twitter and Facebook for their latest updates! I just discovered Paddywax yesterday at a shop in Austin. I'd get a diffuser if I won the giveaway. I would get any thing from their Journey of the Bee line. My initials are BB and bees have come to adorn every aspect of my house, from stationary to glasses, love ‘em! What an awesome giveaway! I would choose something from the holiday collection. I love all the scents that come along with the season! I love candles myself! I am familiar with Paddywax and I love the Library collection. I love the Journey of the Bee collection--it looks so sophisticated! COUNT ME IN LOVA'! - u know i'm totally a follower! and what else do you expect from me - but LAVENDER!!!! - obsessed with it!!! even burn them at work! I am a candle freak too! I must say this was a hard decision but I love the "Garden Crush Collection." All of their beautiful colors really caught my eye. These would make excellent hosting gifts for shower hosts for my upcoming wedding in June. love that little bumble bee candle! Journey of the Bee is my favorite. Love this giveaway. The journey of the bee candle hands down is my fav!!! Great giveaway. ps- drop by my blog - giving away a custom window shade! Just sent out a tweet to the peeps! I think I would have to go with the classic "cranberry fig" selection, it would be perfect for the upcoming holidays! Really like the classic collection. ohh i'd follower your nose and try out the pomegranate! I LOVE candles too! Especially this time of year. I rarely light one in the summer time but...come fall/winter I always do! I would definitely get a candle. I love the Eco line...cucumber and mint is one of my favorite combos, so might have to go with that. I have one of the Bees collection- love the smell. I would def spend some of rhe $50 on a diffuser! I would choose any thing from the winter garden collection. I need things like candles to get me in the mood for the holidays when its December and 80 degrees in Texas. Awesome giveaway! I'll take anything fig scented! I love candles year round, but the winter time is a definate must! love the orange blossom bee candle! Paddywax is my favorite candle company ever! I used to sell it at a boutique I worked at and the Olive Tree scent is so fab. I also love their Tangerine Clove and New Mown Hay! Awesome giveaway! What a great giveaway! I would love to try the Holiday collection!!! My pick is the raw honey one! I love candles. Definitely the woodland collection! The Eco Collection looks very cute. The pomegranate or fig scents sound nice for winter. Mmm! I can't decide between Pear in the Winter Garden collection, or Snow in the Woodland collection. These all look scrumptious! I love candles! But always forget to light them so I think the classic diffusers would be best for me! 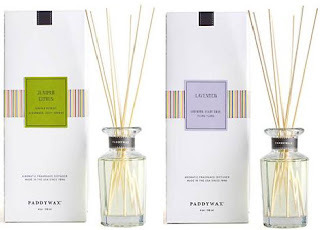 I love Paddywax candles and diffusers. Typically, I get the Fig scent. But I'm dying over the "journey of the bee" collection! I use the bee as my own personal emblem! I already follow you, duh. OH! Have you seen that chair that Starfish and Sundresses just posted?!!?! You will die! I'm never that into giveaways, but I WANT to win this! :) I think I'd go Eco, although they all look amazing! I've never seen these candles before, thanks for sharing. 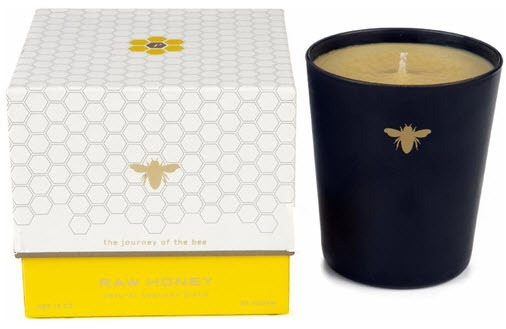 I love the look of the Journey of the Bee collection - all of the scents sound divine! Now that the weather has turned, I'm coveting some new candles for fall and all the glorious holidays around the corner. And I love the journey of the bee collection. Too fun! I would definitely get the diffuser. They have the best overall scent. They fill a room, but do not over power it. I love the Journey of the Bee collection. And I LOVE LOVE candles all-year round! Are you kidding I am a sucker of cnadles as well.. adn the lovely image you portrayed of candles in the autmn on coming back home. love the ritual.. will start than soon as well..
for me.. its all abt glass candles and in whte please.. so il take chamomile.. from classics.. but i also found the one in library intriguing.. so i chose austen for my fav.. so this is what i would do with y fifty dollars.. I'd choose Thoreau and Whitman sents from the Library collection. Fall makes me want to curl up with a great book and I love the packaging! I think I have the same obsession with candles that you do! I just love Paddywax...their classics are exactly that classic and smell amazing! ooh! now that it's getting cooler, i'm becoming a candle whore myself :) i'm quite taken by their eco collection: anjou pear & ginger? verbena & lemongrass? yes, please! I so agree with you, one of the best indulgences!! Love it!! and I love the bee collection!! I follow you of course xoxo Thanks!! Count me in! I'd love something from the holiday collection. I'm addicted to candles, just call me the candle aisle whore. Hmm, I wonder if there's a 12 step program for my condition? I would 100% get the Poe and Thoreau candles from the Library collection... Love them! You can never go wrong with the classic scents. I think the Cucumber Grapefruit candle sounds pretty delish! Blue Spruce in a tin is something I would love to get for my mother who burns candles all the time. This would be lovely for her and I would get something nice for my sister too. The Journey of the Bee is the best! My two favorites are Wild Blakberry (that scent is seducing!) and the classic Rose scent. I have both in my house but they are down to the bottom!!!! I will do a blog post! what a fabulous giveaway, I was just thinking the other day how I would love to have some new candles for the fall, If I win I would get both the orange blossom and the wild blackberry from the bee collection (also love the glass) then the bergmot cassic from the classic collection. I also just became a follower of your blog, but I have been reading for a while, LOVE IT! at first i went for garden crush. that is, until i saw library! last night i felt like putting on my pjs at 730. in the dead of winter here in seattle, it gets dark at about 445. i dread it. Oh I love candles. Can't get enough really. Their library collection looks lovely -- and I love the names! I would get the Journey of the bee line in the Rose scent. How sophisticated! I love the Library collection :) I have the Thoreau travel tin and it smells sooo good. I'd love to buy some of the larger Library collection candles, especially the Jane Austen one. The Journey of the Bee candles also look lovely. I follow. I would get the Mint Mojito diffuser from the classic line if I were lucky enough to win. I would go for the Garden Crush Collection. Beautiful! New Mown Hay got me hooked on Paddywax several years ago, after a chance encounter at an Anthropologie. I'm dying to check out their library collection, so that's where my $50 would go! Who doesn't love ooodles of candles! I would maybe do something from the eco line. Although the tin canisters are so cute too! I'd definitely choose something from the eco collection. not sure which scent, though. I'd love a gift set with an assortment. I adore the Journey of the Bee collection, my daughter raises bees, so perfect! Oh, I am a follower of course! It's difficult to choose a favourite, but I think mine would have to be the Peony scent from the Garden Collection. i'm a follower and would love to try all of the new Library collection, but i'd especially pick the Poe and Thoreau scents -- thank you for the chance! 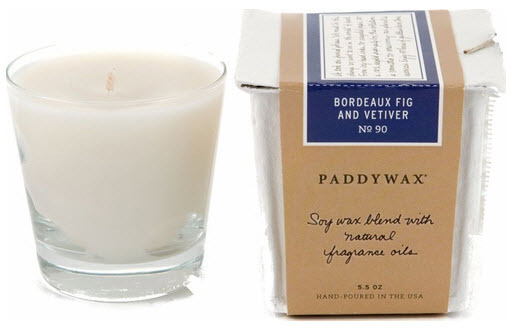 I love candles but haven't tried Paddywax yet. The Raw Honey and Pomegranate sound lovely! Definitely the "Library" collection. There's an "Austen" diffuser!! And the scent contains 2 of my favourites, Gardenia & Jasmine - how perfect! I love the Journey of the Bee collection!! Thanks for the chance to win! I love the pomegranate & currant, and thyme & olive leaf. I LOVE candles. I would definitely chose from the classic collection. I would chose the rosemary sage from the classic collection. The color is the perfect shade for my new familyroom design. Love me some paddywax!! Oh my gosh - the Eco collection has my name all over it! Can I have one of each? Well, I'd start with the Holiday collection since we are right around the corner from Christmas, and I love the Journey of the Bee Collection too. Sign.Me.Up! I love the packaging of the Journey of the Bee collection, and since it's fall, I'd definitely order the rose scent, since they're no longer blooming in Chicago! I love fresia, so I'd probably try one of the bee candles in that fragrance. The jars are so beautiful...I'd have to repurpose them! What a great giveaway! I love the Journey of the Bee line... how adorable!! I love the classics line-- so chic! I LOVE the new Library collection and have been burning the Poe scent regularly in my family room area. BEAUTIFUL scent!! It is heavenly. If I won the giveaway I would buy the Dicken's fragrance from the Library line and also a Sweet Pea candle from the Garden Crush line since that is my favorite tart & tangy scent! :) Love it!!! I also posted the giveaway to my facebook account! :) woooo hooo!!! I don't know why It didn't link up before! Oh welll! :) haha! My husband once gave me Olive Tree, and it became my favorite candle ever. Also, I retweeted this on twitter! New to this brand, and loving what I am seeing! The bee collection is the cutest! I am in love with that little bee! Oh I love Paddywax! What a great giveaway. Their new bee collection is definitely my favorite! Love the Eco line. Lemon Grass and Verbena - yummy scents. BTW - you have a lovely blog! however, if i won this contest i would definitely head over to the classic collection and pick up some pretty glass candles for my mother [and fellow candle whore] for Christmas -- it's never too early to start shopping!! Love candles! I would pick Ice skates, lemongrass, or jasmine I love the color green anything!